Governor Okezie Ikpeazu of Abia state has said that any devise to make it impossible for him to appeal the judgment of Justice Okon Abang of the federal High Court against him will be infringing on his fundamental human right and against the constitution of the land. The Governor stated this at the Government House, Umuahia while interacting with a team of Concerned Lawyers in the state who paid him a solidarity visit. Dr Ikpeazu wondered how a Judge will order the swearing-in of Dr Sampson Ogah who did not even contest election less than 24 hours after the judgment was delivered without giving him a chance of appeal. 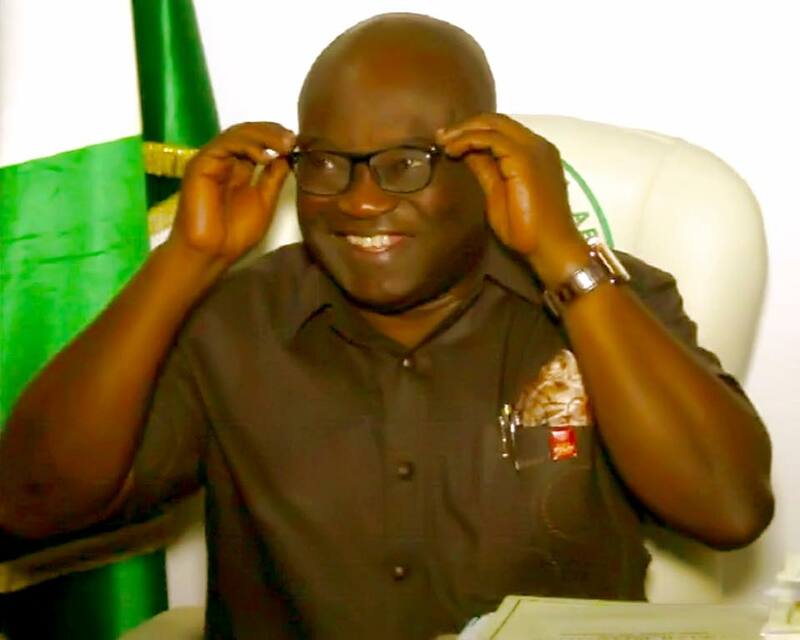 He described Ogah’s quest to unconstitutionally wrestle power from him as a serious effrontery on the institution of governor as well as a siege on his position as Governor of Abia state, describing it as a coup d’etat orchestrated by some individuals. The Governor regretted that Abians have been forced to bear the trauma occasioned by the political development and wondered why after toiling to win election, a person who was sitting comfortably in his room will wake up and want to force his way to the seat of power. He maintained that the plot negates the principal of equity ,justice and fairplay. He thanked the concerned Lawyers for educating the public to remain calm as well as for their hardwork and industry. Earlier in his speech, the leader of the delegation,Barr Ogbonnaya Nwannunu said their visit was borne out of their concern over what he called the ‘legal somersault” in the state. According to him, they have x-rayed the episode and found it to be a charade which will fizzle out and wondered how someone could think of a coup d’etat in a democracy. He urged the Governor not to despair and promised that the team will work with him to ensure that he triumphs.